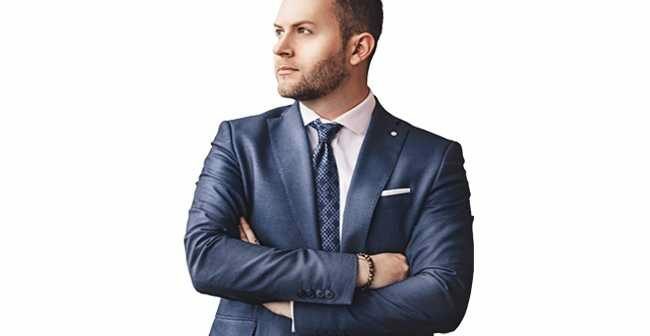 Bogdan Stevanovic, consultant and entrepreneur in digital marketing, MD and founder of digital agency Aquare, and online learning platform for digital professionals, Acadme, tells us about his way of working and what inspires him in business. Can you tell us what you currently do? Aquare.co provides complete digital marketing services from SEO to paid advertising. We provide that service to businesses looking to increase their revenue by converting more customers online. We also partner with traditional marketing and PR companies, working alongside them ‘in-house’ so that they can provide expert digital marketing as part of their own service. This allows them to expand their offer, making them more attractive to potential clients and ultimately win more business. Acadme.com* (Agencies Certification of Advanced Digital Marketing Expertise) is something I’m really proud of. I created it to address the growing talent gap in digital marketing which is crippling companies’ potential. Over the last 10 years the whole PR industry has gone digital, which has left a huge number of companies falling short of what many agree is an acceptable standard of expertise (the rationale behind my “Agency Nightmares initiative). Aimed at agencies and businesses rather than freelancers, Acadme is an e-learning platform where companies can up-skill their digital employees and build a rock-solid foundation for providing real ROI in things like SEO, AdWords etc. It will soon be accessible 24/7 from anywhere in the world, and you can do as much or as little as you like. What attracted you to the world of entrepreneurship? PR has always depended on people skills and relationships, but even with the rise of digital and data driven processes, a business cannot achieve its true potential without investing in people, not just new technology. Nowadays my absolute priority is getting the right people – not just for their skills but their ability to understand and appreciate the bigger picture, i.e. how the business needs to operate in all areas. There are plenty of people who have influenced me. But amongst those I particularly admire, I would say that James Clear has been one of my mentors. He has two great books: Transform Your Habits and Mastering Creativity which I highly recommend. He has dedicated a large part of his life to helping people build better habits and master the routines that shape their life and work. Also Charles Ngo is someone I’ve learnt a huge amount from. I don’t think anyone in the world knows as much about affiliate marketing as Charles, and his story of how he got there is inspiring. He’s a living example of how, if you put your mind to it, and you really, really want it, you can achieve your dreams (if you want to know more, read this post, and I guarantee you won’t stop reading). What are your key motivators beyond financial success? “Helping our clients grow their business is only satisfying if we can get hard, measurable ROI. That means being able to look at the budget sheet and say, “Look, in the last few months we’ve increased your revenue 10% over what it was last year”. This is an incredible feeling. This is the ‘before’ and ‘after’ of a plastic surgeon who hears his client say, “thank you, I am so pleased”. A satisfied client (usually a richer client than before!) is a real buzz for me. A stronger brand, more web presence, more traffic, a greater number of conversions… all these things are rewarding for both parties. The other fun part is learning about our clients’ businesses and seeing where the opportunities are. Based on your experience, what would you say to young people considering building a Digital Marketing business? “Become obsessed with it. There is so much information out there, and there is so much to learn, that the more you absorb the more valuable you become. Get stuck in early – try things out. Look at other successful businesses and try to replicate their tactics. Don’t be afraid to fail – learn from it – but try and learn from other people’s failures as well – it’s easy to look around and see businesses that are struggling or failing to do things right online. See where the opportunities lie. You literally have to “geek out” and focus on the numbers, because modern digital marketing is data driven. Digital Marketing is only as good as the hits it secures, as the customers it brings in and the sales it generates – and that’s where the numbers come in. Strategy is the key – try and really understand what a good strategy actually is: how to structure it, how to distribute it, how to get people to want to engage with it. That way you’ll make your business stand out from the competition.